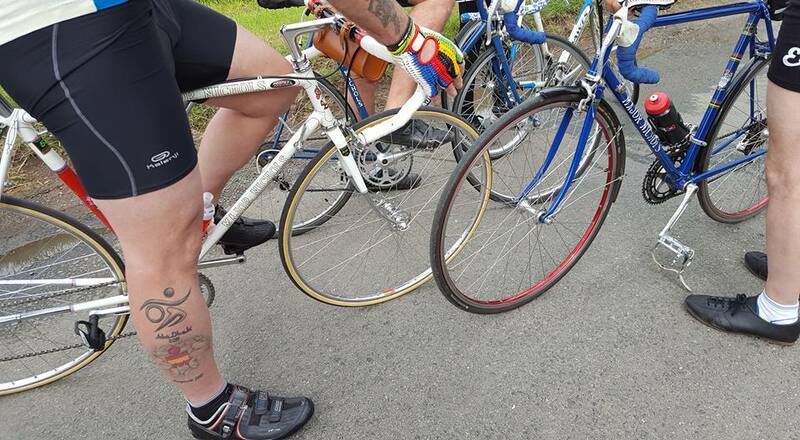 This, our first attempt at organising a ride under the V-CC umbrella for the Major Nichols Marque and other Black Country and Birmingham built lightweights went like a dream. Riders turned up, set off on time, did the 29 mile ride in pleasant weather, arrived back at the finish all in one piece, no punctures and no mechanicals and then drifted off home with smiles on their faces. A grand day out. 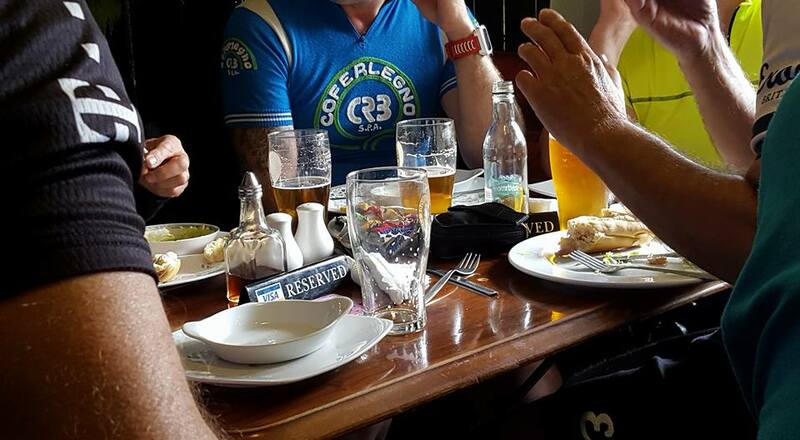 We gathered at the Cafe in Beacon Park which has a history of grass and cinder track racing and did the sensible thing and got out of our little cathedral city by the shortest route to Whittington and by then the chat was well under way. Now in open countryside of the Tame Valley we crossed the now clean, fish-filled river at Elford’s historic bridge and on to the western flank of the Mease Valley at Harlaston, through Haunton and into Clifton Campville with its lofty spired church and more importantly on the day the Green Man, a cosy pub with very good grub and good service. The craic was mighty too before we restarted on the afternoon session across the tiny River Mease and up to the landmark spired church at Lullington. Then a swoop down the east side of the valley to Edingale and Croxhall, past the National Memorial Arboretum, across the A38 at Fradley to our tea stop at Fradley Junction Cafe on the Trent and Mersey Canal. 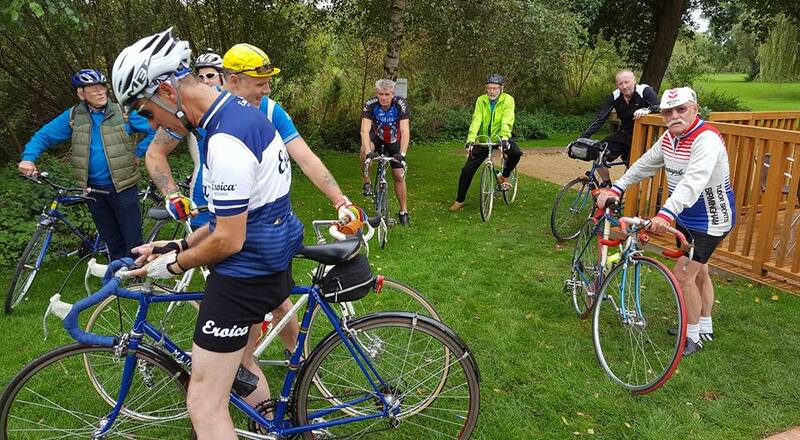 Excellent cake and more chatter followed by the final 5 mile drift along NCR 54 into the city along Stowe and Minster Pools with views of the cathedral and finally across Beacon Park to our start point. James said that after the start there were about three hours on the road and three and a half of gossip. That says it all. There were some lovely bikes and Mike joined us on his blue MN on the outward leg and left us at Croxhall having ridden from Atherstone way so he had a decent ride out! The real eye catchers had lots of chrome, particularly Tony Crump’s immaculate TT machine MN7966, Mark Edwards MN 68118, Roger Johnson’s beautifully restored and equipped MN 6956 and Graham Martin’s MN71109. 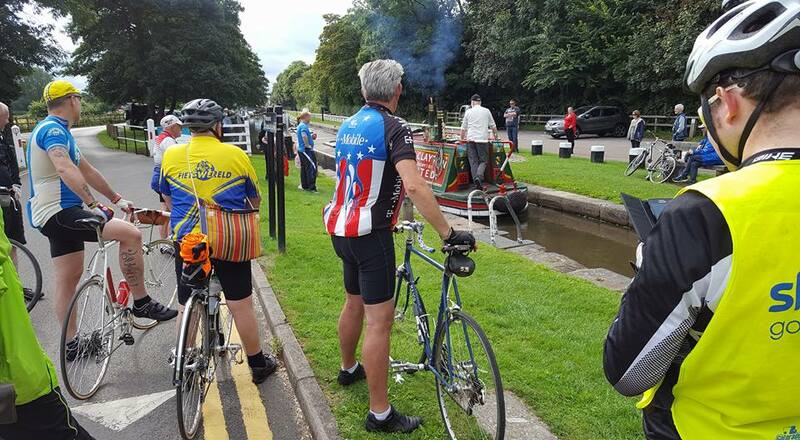 Star rider of the day for most of us was Eric Cox who donated MN 5835 to the National Cycle Museum located in Llandrindod Wells. He completed the ride in good shape with a big smile on his face on an MTB. I struggled to keep up with the lead group and shout directions. I couldn’t have done that on Eric’s bike. Thanks to all who came, especially the former owner of James’s MN74102 David Catlow. The frame is badged for Crown Cycles of Perry Barr, nothing to do with Crown Paints. This was a machine owned by Andy Hayes born in 1945 who rode for the Oldbury Club. He was known to be a semi-professional rider who we think probably agreed to allow his bike to be refinished as a Crown Cycles team bike and may yet shed light on this. 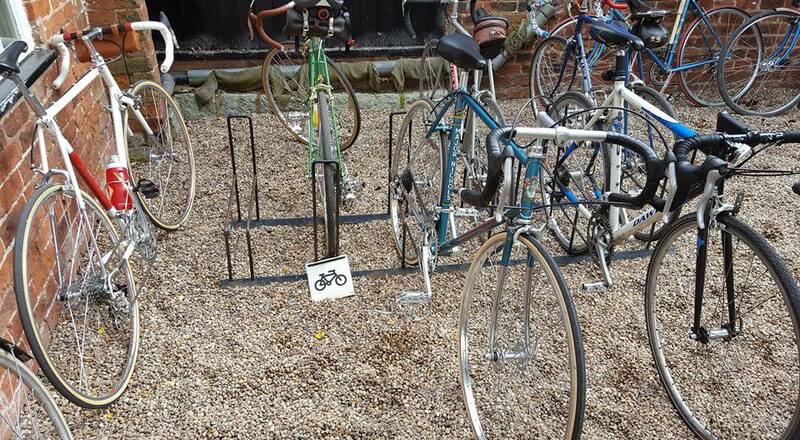 It was sold to David Catlow and raced and time-trialled by him too in the West Midlands. It certainly looks the part and has most of its original equipment. Later in his career Andy was a professional rider with three teams over a three year period from 1982 to 1984. Fibrax-Graham Raws-Ofmega in 1982, Fibrax in 1983 and Fibrax-Graham Raws-Pirelli in 1984.